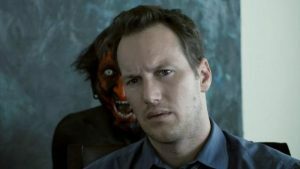 Horror as a movie genre has grown exponentially in the last two decades or so, in terms of viewership and fan following. 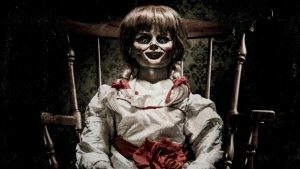 While horror loyalists have a number of great classic flicks they can swear by, the genre that was slowly getting contrived, relying only on gimmicks and jump scares rather than creating actual dread on screen, has had a wave of fresh talent to breathe new life into the genre, employing either old school tactics or innovative new technology to scare the bejesus out of their audience. And that’s where the trick to surviving a horror movie lies. If you know the tricks that horror movies use to scare you, you will also know how to watch them without getting scared. Old school or not, directors of the Horror genre often employ some by-the-book tricks to jolt their audience and deliver scares. Here, we discuss the list of most employed tricks and techniques (we will reserve tricks and treats for later) that horror movies use to scare their audience. The most commonly employed technique in horror movies nowadays, to the point of being overused in many films. That being said, a number of filmmakers have employed this technique in an innovative manner to effectively deliver a mini heart-attack of sorts to the viewers. Eerie background score, slowly building tension, characters slowly proceeding towards the big reveal behind a door or cabinet, and then BANG! An unsettling image is literally thrown at you when you least expect it, often accompanied by a sudden, unceremoniously loud sound. It’s hard not to get startled even for people with nerves of steel, but jump scares often lack genuine, lasting fright. 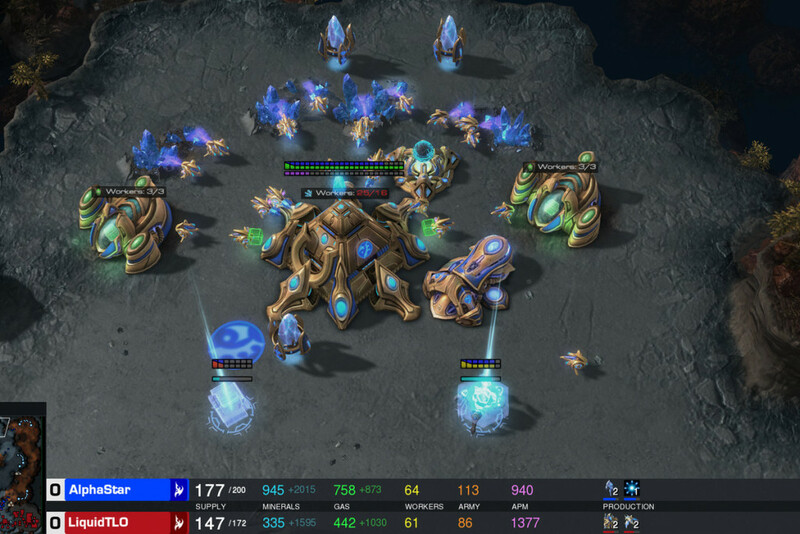 Everything here is essentially the same as the previous category, until the final build up with nail biting tension. The audience is prepared to have something scary suddenly show up on screen, but alas, it turns out to be something inconsequential, like the character’s friend/partner, a wisp of wind, or a cat. 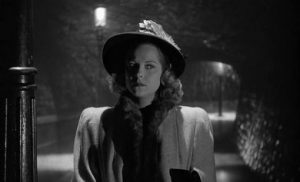 Incidentally, it is often termed the cat scare, or the actual term for it, Lewton Bus (after Val Lewton, producer of the 1942 film, ‘Cat People’). While the build up to such a scenario is intense, it often releases the tension in a comical way when the audience realise that they’ve indeed been duped. Although, the manipulation may not stop there. A twisted method for catching the audience completely off guard is introducing a jump scare right after the audience has breathed a sigh of relief! The most common category of Horror films, for there is no greater fear than the fear of the unknown. As opposed to films involving a sadistic/psycho killer, these films often involve a religious angle (demons), undead beings or tormented souls seeking fulfilment, or malignant entities cast out from hell. 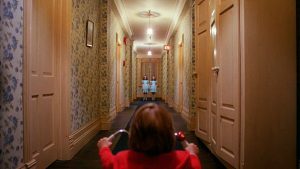 Horror films dealing with the Supernatural have constituted majority of the scariest scenes put to film. The reason why Horror films involving Supernatural elements are such harrowing experiences is that they make you question your faith, they make you question the existence of such beings and entities. And the moment this thought creeps up, we are all well aware of the psychological effects it can have. Don’t tell me you have never been too afraid to switch off your lights after watching a scary ghost flick! The result is even more terrifying when such entities look to inflict harm by crossing over to the mortal realm, instead of merely infesting with their presence, which brings us directly to our next pointer. The terror multiplies manifold when such malignant entities (as described in the previous category) make contact with humans, reaching their final stage of oppression: Possessing the subject. Watching a character in the film perform inhuman feats and acts of heinous violence under influence is a disturbing experience unto itself, precisely because of the ‘human’ element being involved. 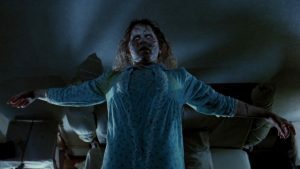 The single greatest example of a film revering to both categories is ‘The Exorcist’ (1973), directed by William Friedkin. Widely considered to be the scariest movie ever made, the movie depicts the possession of a 12 year old girl by a demonic entity and her subsequent exorcism by two priests. The experience was so unsettling for some viewers, that paramedic emergencies, faintings and mass hysteria were reported from many theatres during the film’s initial release. If you haven’t watched the movie yet, considered yourself warned. Without the presence of a creepy, high pitched noise, most of the jump scares would be rendered ineffective. Besides making jump scares work, continuous unsettling sounds, (or absolute silence before a key moment for that matter) help in setting up the desired mood and atmosphere for the horror to work. Apart from the background score, accentuated screams, squeals, clunks, shrieks, growls, groans or anything remotely auditory causing disconcert among viewers elevates the element of horror in such films. As an example, listen to the soundtrack of David Lynch’s ‘Eraserhead’ (1977), Stanley Kubrick’s ‘The Shining’ (1980) or a more recent one, James Wan’s ‘Insidious’ (2012) for an unnerving experience. 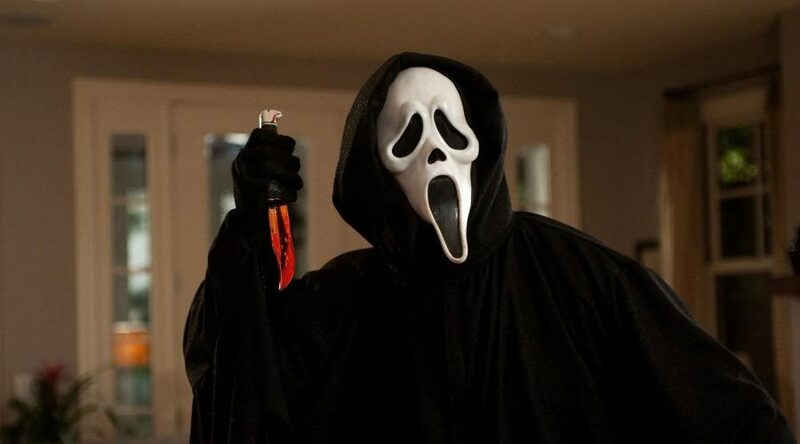 This category is a whole other genre in itself, popularised in the slasher flicks of the 70s and 80s. Using dismemberment, excessive blood spilled using the most ingenious ways, the most brutal murders and the insides of people explicitly visible, the sole purpose of such scares is to make the audience flinch in disgust, psychologically inflicting pain by displaying grisly acts of violence. The most prominent movie in this genre could be ‘The Texas Chainsaw Massacre’ (1974), a movie that has been claimed by many as “redefining the slasher genre”. And ofcourse, can anyone ever get the image of Leatherface chasing his helpless victims with a chainsaw out of their heads, for good? Many viewers seek relief at the end of a horror flick by the simple virtue of it coming to an end, citing it as “just a film”. 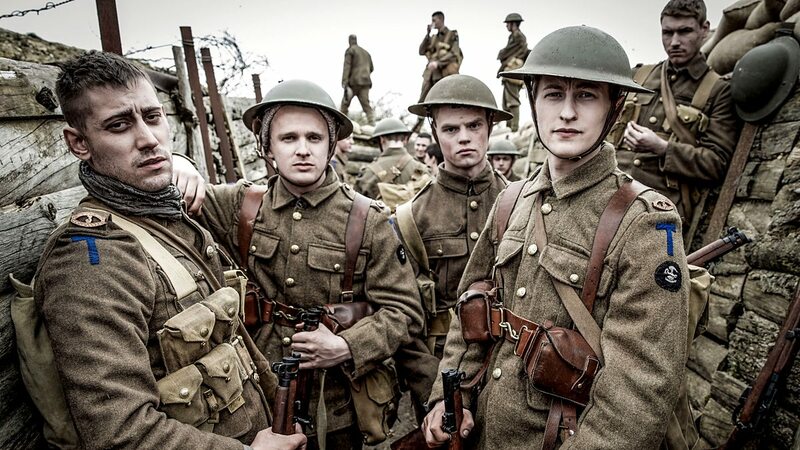 However, imagine someone telling you right at the beginning of the film, that the terror that is going to unfold on screen isn’t mere fiction, that somebody actually endured all of that (or part of it) in real life? The horror tends to creep up on you the moment you think of it. Infact, I believe that one can render a tale of horror atleast 10 times scarier than it actually is, simply by labelling it as based on a real story; such is its dastardly impact. 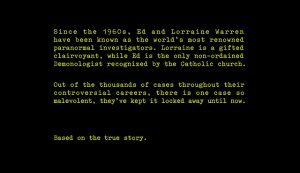 A recent string of successful films including ‘The Conjuring’ (2013) and its sequel, by James Wan, and its spinoffs are testament to that, based off the actual case files of paranormal investigators and researchers Edward and Lorraine Warren. The Perron Family Haunting, Amityville Haunting and the Enfield Poltergeist are some of the most documented paranormal cases in history from the Warrens’ case files, with several films to their credit. Again, more of a subgenre of films than a technique, Found Footage films involve one or more of the characters discovering previously documented video recordings of a horrific incident or survival tale, with horror movies often employing this technique in ‘labelling’ the next set of victims from whatever caused the deaths of the characters from the ‘found’ footage. Such a method of filming is used for providing the audience an added touch of realism, allowing the audience to view the events, as they happened, from a different point of view. The shaky and hurried camera movements greatly add to the kind of lurking horror these films tend to produce. Some great examples of found footage horror movies include ‘Sinister’ (2012) which I found to be terrifying upon first viewing, the Paranormal Activity film series starting with the film of the same name in 2007, and ofcourse, ‘The Blair Witch Project’ (1999), the film that did it before it was considered cool. The kind of scare that uses non-human living creatures like werewolves, vampires, zombies and the like, or something else altogether, like the xenomorph from Ridley Scott’s ‘Alien’ (1979). This one is almost as old as horror films themselves, with the likes of famous monsters like Count Dracula being done on film since as long back as the 1920s. Besides scary, creature features are mostly fun fares to watch too. The most famous movies to view among each type include ‘Dracula’ (1992) directed by Francis Ford Coppola, with Gary Oldman portraying the titular role, ‘An American Werewolf in London’ (1981) and ‘Night of the Living Dead’ (1968). Classic horror, seldom ineffective. Imagine the main character from a slasher flick being chased by a serial killer in the middle of a large field instead of a long, narrow hallway. Or imagine if the famous ‘hide and clap’ scene from ‘The Conjuring’ was shot in a living room instead of the narrow basement stairway. If that were the case, we know the scenes won’t work and simply won’t be as engaging. Horror movies often employ the usage of tight, underexposed, claustrophobic spaces to provide the viewer a sense of confinement, a sense that there is nowhere to escape once the horror strikes. Such spaces, though actively avoided in actual architecture, otherwise form hotspots for most of the action to take place in horror films. The human mind reacts instantaneously to such spaces, making the viewers increasingly uncomfortable. 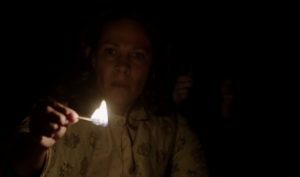 Although, not particularly exclusive to the mirror, this horror trope is commonly employed with objects like doors, cabinets, and even light, one which was particularly well done in last years ‘Lights Out’. 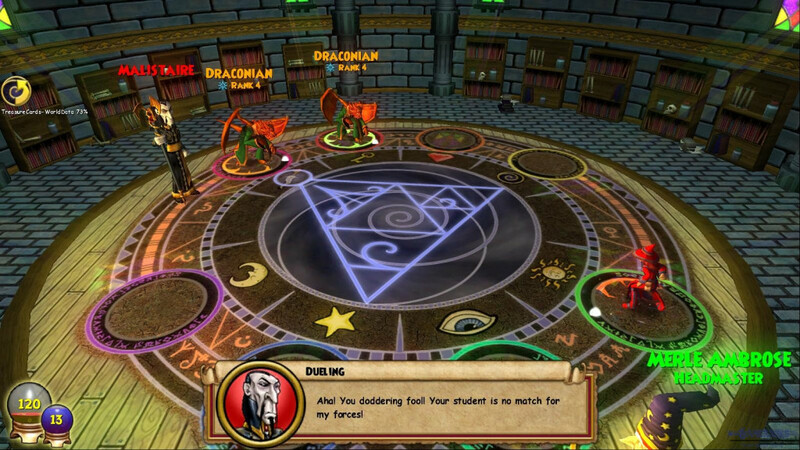 About the reveal, you have the character looking at a mirror, or opening a door/ cabinet, a seemingly normal situation; but the reveal occurs when the character either looks away from the mirror, bends to pick up something, or other distractions of the sort, when you see the creature/ entity suddenly appear as if from nowhere. The trope can be played in for a jump scare, or to toy with audience’s minds where the creature/entity is only revealed to the audience and not the character on film, raising the tension. Although done to death by now, this is the kind of scare that almost always works. 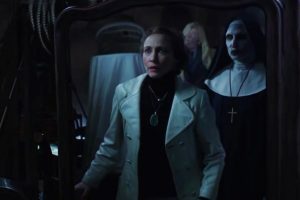 For some great examples, watch the music box scene from ‘The Conjuring’ (2013), the mirror scene where Valak draws closer everytime Lorraine looks away from it from ‘The Conjuring 2’ (2016), Olivia’s mirror scene from ‘Evil Dead’ (2013), or the movie ‘Oculus’ (2009). All of us have very specific phobias and fears of our own, some of which we may not even be aware of. That being said, there are some things that we as a human population find generally repulsive or would never wish would happen to us in our worst nightmares. More often than not, filmmakers are aware of that. Often bordering on abstract imagery (imagine a person turning into a spider in front of your eyes while you are arachnophobic), this type of scare worked the most for me during a casual viewing of the second installment in the SAW franchise. It’s just safe to say that I won’t be revisiting the ‘needle-pit’ scene anytime in the near (or far) future. This category highlights the usage of a prop, unlike a technique in other categories. Featured in virtually every horror movie ever made, the sounds of a creaking door as it opens itself, the sound of the floorboard in the attic or basement creaking as if someone was walking on them, and the visual of a chair rocking in its place on its own et al, greatly assist in increasing the dread on scene, especially accompanied by silence, proving instrumental in setting up the upcoming major scare. 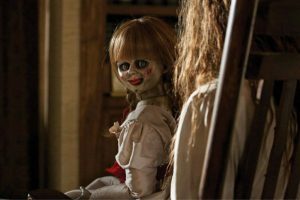 Remember that scene with Bathsheba, the witch in ‘The Conjuring’ (2013) rocking in the chair with Annabelle at the Warren’s residence in the film? We can’t get it out of our heads anytime soon. 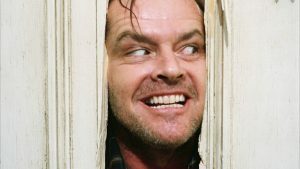 Horror movies and directors derive intense pleasure, it appears, from taking seemingly normal people or things, and presenting them to us in a twisted manner, that is downright cringe-inducing and horrifying in equal measure. Human disfigurement, either by make-up or special effects is something a lot of movies have done before, but only more than a few have excelled at (Freddy Krueger from the ANOES film series). What I would like to draw upon specifically though, is when possessed characters on film disfigure themselves in a way that is not humanly possible. The rotating head, wretched fingers, and crooked back are all examples of that, also being one of the signs of a possession for instance. 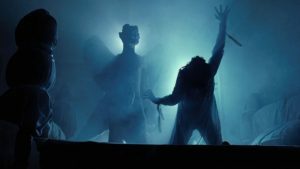 ‘The Exorcist’ (1973) mastered these tropes, with the infamous ‘spider-walk’ scene irreversibly etched in the minds of viewers even today. This one is typical to slasher flicks. Almost every killer/ slasher movie features atleast one POV shot, where the audience sees what the killer sees, as he slowly proceeds to slaughter the unsuspecting victim. More creepy than actually scary, it is like a sadistic pleasure that the filmmaker draws by placing the audience in the killer’s shoes, watching as the killer makes his move on the hapless victim, terrorising the equally hapless audience. However, the greatest of such scenes was presented in Alfred Hitchcock’s 1960 masterpiece, ‘Psycho’. 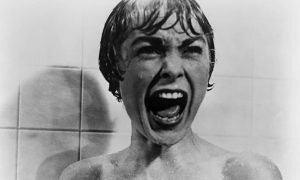 The shower scene was shot at more than 70 camera angles and took close to a 50 cuts to final, but the result was definitely one of the scariest murder scenes in film history. Well, that’s how the master does it!